Clear skies. Low around 45F. Winds SSW at 10 to 15 mph. 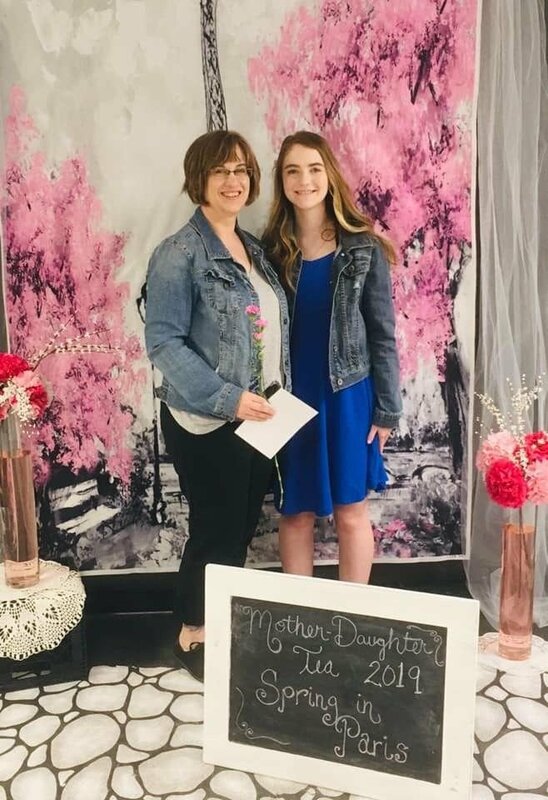 The Prairie League through Prairie High School in Cottonwood held its Mother-Daughter Tea last weekend. Pictured here are mother and daughter Shari and Ciarra Chafee. 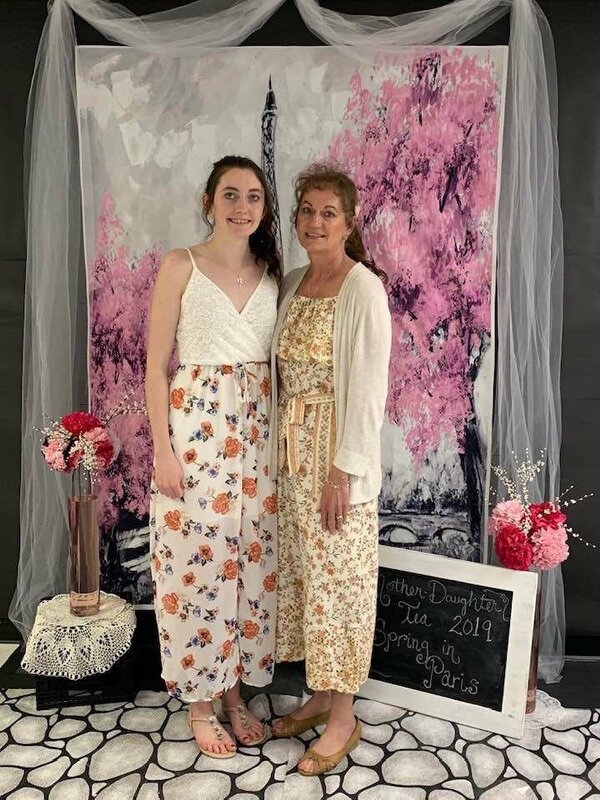 Laurie and Sierra Chapman attended the Mother-Daughter Tea in Cottonwood last weekend. COTTONWOOD -- Hey! Guess what? There is some ground beneath all that snow! We are starting to see big patches of green or black between all that white snow. Actually, it melted quite a bit last week. The animals seem to be happier, too. Be on your guard next Monday for April Fool’s Day. Just be suspicious of anyone who tries to tell you something that doesn’t sound right. Don’t let them make a fool out of you! There will be a Bunko party next Saturday, March 30, in Assumption Parish Hall at 6 p.m., following evening Mass. Bunko is a dice game, very easy to learn and a lot of fun. All adults are invited. Cost is $5 so we can split the pot at the end. If possible, bring finger food to share. Come and plan to have a good time. Richard Lane, a well-known Catholic evangelist, will be coming to St. Mary’s Parish in Cottonwood for a Lenten Mission on April 4-5, Thursday and Friday at 7 p.m. Mass will be at 6:30 p.m. What are you asking the Holy Spirit in your life? Do you understand the Power you have in the Holy Spirit? Do you know God’s purpose for you and your life? Two nights of powerful preaching and teaching. All are welcome! Upcoming marriage retreats: It’s All About Us 7th Annual Celebration of Marriage: Saturday, April 27, 9 a.m.-9 p.m., Pope St. Piux X, Coeur d’Alene. Contact information: marriageitsallaboutus@gmail.com for more info or to register. Space is limited. Epic Love marriage retreat: May 17-18, Our Lady of the Snows, Sun Valley. Visit epicloveretreat.com for info. Space is limited. Congratulations to the Cottonwood Gun Club members who ended the 10-week shoot with three shooters each scoring a perfect 25. They were Butch Spencer, Glenn Remacle and Derek Schaeffer. They helped the Club finish in first place. Good job, guys! The next blood drive is coming up on April 9, at the Cottonwood Community Hall. Be ready to roll up your sleeve to help save lives. Contact St. Mary’s Hospital at 208-962-3251.